“When will it be my turn?” she prays, with tears in her eyes. It seems there is nowhere to turn. Time and time again, Chani has faced the crushing disappointment of another shidduch date gone wrong. “When will it be my turn?” she prays, with tears in her eyes. It seems there is nowhere to turn. These issues are as prevalent as ever among the women of klal yisroel today. 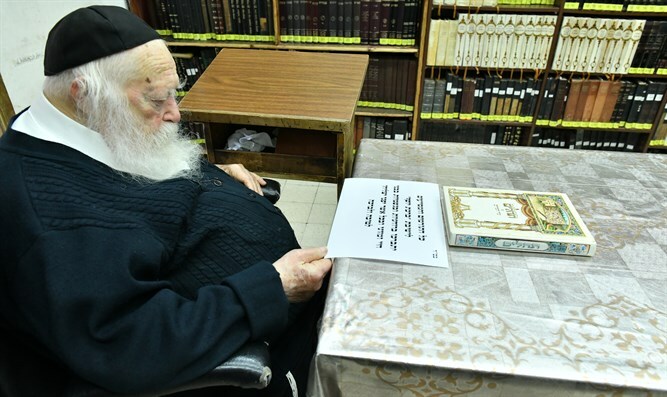 No one knows the nisyonos of the Jewish people better than Rav Chaim Kanievsky shlit”a, who receives hundreds of daily visitors in his home in Bnei Brak. Each eager visitor comes for wisdom or a bracha, often waiting in long lines with the hope of bringing more blessing into their lives. The Rav’s time is precious and his words meaningful, which is why he only gives them to causes of the utmost importance. One such cause is that of Yeshivas Bircas Yosef, a Torah learning institution under the auspices of Rav Mordechai Tzion, grandson of Rav Kanievsky. The yeshiva prides itself on its individualized attention, a concept inspired by Rav Chaim himself. Despite its proximity to the gedolim, however, Yeshivas Bircas Yosef is in a state of crisis: having moved in recent years, the yeshiva has yet to recover from the financial burden and is struggling to cover its expenses. The administration is desperate to keep the yeshiva’s doors open, so that the talmidim can continue to grow in their learning and yiras shomayim. It is a striking bracha, relevant to some of the most pressing issues of our time. Those who are struggling to start a family of their own, or who have a loved one who is, can receive Rav Chaim’s bracha by donating here.